Chertsey Area Guide - What makes Chertsey so great? Where do Chertsey locals go? 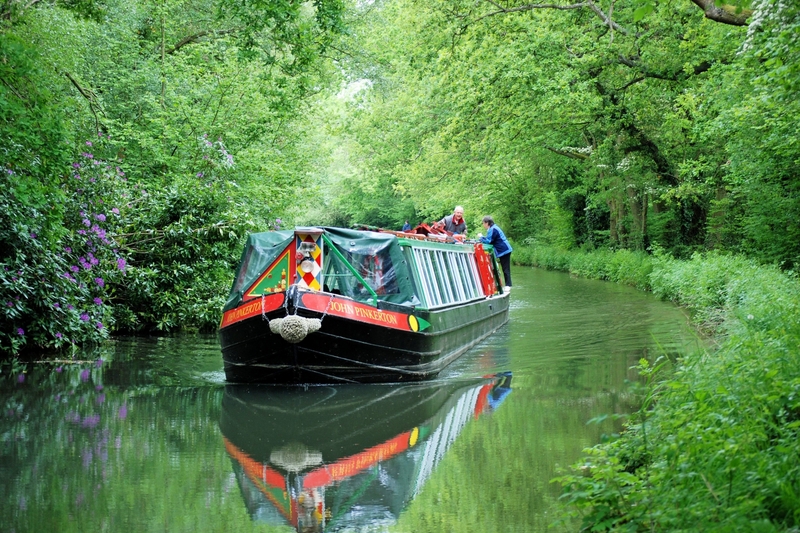 Share your favourite place to go to in Chertsey. "Following King Henry VIII annulling his marriage to Anne of Cleves in 1540, Anne's family didn't want her back, so came up with a novel idea of what to do with her. He proclaimed her his 'sister' and re-built Oatlands Palace for her near Weybridge." Great walks on your doorstep. Good food and pubs within a few miles. A quiet area. Excellent links to get into London. Close to London, with plenty to do within a short drive, it is good for work and great for families. There are abundant parks and libraries to occupy children and everything is within a short drive. We chose to move to Chertsey because it's a lovely little gem, we arrived in June 2013 from Uxbridge, London, after exploring all the Thames Valley area from Reading to New Malden, London. Initially we selected Weybridge/Walton on Thames, because they are very green, posh, with a beautiful promenade along the River Thames, nice restaurants, nice shops, but when we discovered that just down the corner there was Chertsey and we realised that here you get much more for your money and properties have more character since it's a old historical town we started to look properties in this area. Here you can find lots of period properties with a decent size garden for a reasonable price. Schools/nurseries are very good, some even outstanding, therefore there is no need for a private school which means saving money. People are very family orientated and friendly and there is a good community spirit, basically everyone knows each other somehow. There are loads of parks, playgrounds and green areas if you have a child and a dog. In the high street there are a couple of nice Italian cafe/deli, a Portuguese one and some English ones, and there is a lovely gym with sauna and swimming pool, the area is very safe with very low criminality. We are very happy here and we are settling down nicely, my son has already made some good friends. I feel that the only downside of Chertsey is the high-street, it's quite nice with some period buildings, however there isn't much a part 4-5 cafes, some charity shops, some hair dressers, nails shops, a dentist, some electrical shops and some banks. I reckon that some nicer shops would definitely attract more people and improve the area. Another downside is the train connection to Waterloo, if you want to get a fast train to London you need to change in Weybridge or Virginia Water as Chertsey to Waterloo takes ages, more than 1 hour. I guess this is the reason why prices are lower than Weybridge/Walton on Thames, if the train connection would be better this place would become very expensive. For us this is not a massive problem, Chertsey is near loads of places like Staines, Woking, Windsor, Kingston , Richmond, if you have a car you can reach those places in less than 20 minutes, obviously if you leave home before 8AM since the traffic become hectic after that time. If you property budget is below 450-500k and you are looking for a character property with big garden, good schools in a safe area and you work in the west end of London or in the Thames valley I definitely recommend Chertsey as a place to grow your family. What do you think of Chertsey? Chertsey is a town in Surrey, on the River Thames and its tributary rivers such as the River Bourne. It can be accessed by road from junction 11 of the M25 London orbital motorway. It shares borders with Staines, Laleham, Shepperton, Addlestone, Woking, Thorpe and Egham. It lies within the Godley hundred, some 29 km southwest of central London, close to the M3 and the M25. The town is served by Chertsey railway station. It is located on the Chertsey branch of the Waterloo to Reading Line which is operated by South West Trains. The highest point is St. Anne's Hill in the forest, which peaks at 76m, making it the second highest point in Runnymede. What are your favourite things about Chertsey? Find out how much your flat or house is worth om Chertsey. Feedback about living in Chertsey has been submitted directly by the public and may not neccessarily reflect the views of Foxtons. The description of Chertsey was modified from Wikipedia and is available under the Creative Commons licence. Land Registry data is Crown copyright. All the views and contributions contained within Foxtons Local Life are those of the contributors. All content is assessed before publishing for taste, however free opinion is encouraged. Foxtons accept no payment or sponsorship for content that is posted about Chertsey.